The Securities and Exchange Commission launched a new cyber fraud unit earlier this year amid the internet’s ongoing Bitcoin boom, seemingly telegraphing its intent to crack down on a cryptocurrency market rife with hacking, fraud, and scams. The first thing on its agenda was likely always going to be initial coin offerings—a form of almost totally unregulated investment vehicle in which investors trade things of real value, like cash, in exchange for stakes in cryptocurrency-backed startups. 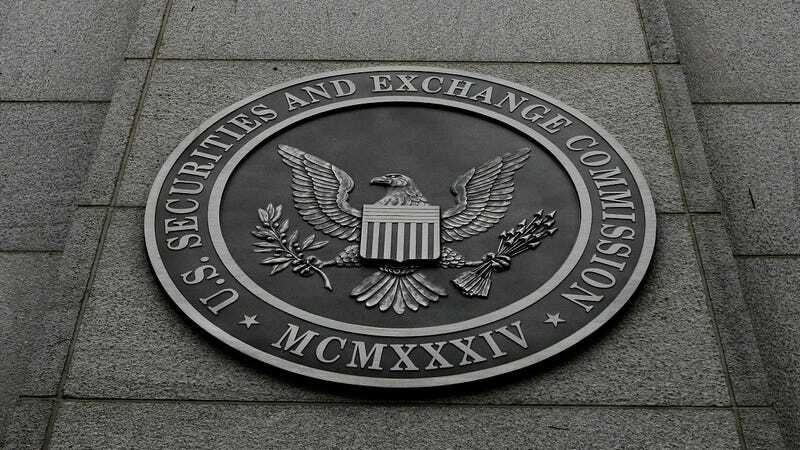 Lo and behold, the SEC cyber unit’s first case is yet another indication they plan on subjecting ICOs to the same securities laws as traditional investment products. Per Ars Technica, the agency has filed federal charges against PlexCorps operator Dominic Lacroix and his partner Sabrina Paradis-Royer, saying their PlexCoin ICO fraudulently raised up to $15 million from investors with lies of 13-fold returns in less than a month. The SEC labeled Lacroix a “recidivist securities law violator” running a thinly-veiled scam. According to Reuters, the SEC also said that it had obtained an emergency order to stop the ICO and freeze assets so they could attempt to refund investors. PlexCorps had “no whitepaper available on its website,” CNBC wrote. But PlexCoin’s website touted the project as a “new revolutionary operating structure” that is “safer and much easier to use than any other current cryptocurrency.” Without providing much explanation of how it supposedly would do so, the project offered users security from “market variation, which is highly volatile,” as well as promised “guaranteed returns.” It also claimed to be developing “PlexCard,” a replacement for traditional credit and debit cards that would allow users to spend their money directly. In a statement on Facebook, PlexCorps argued it was “being depicted as robbers, scammers and fraudsters everywhere in the media,” and accused the press of “smearing our name with some allegations that can sometimes be false or misleading.” It pledged to cooperate with the SEC as well as a separate investigation in Canada. The majority of ICOs are likely not scams, just risky startup ventures. But as notorious Wall Street scammer Jordan Belfort noted a few months ago, it only takes a few crooks to scare off investors and tank the market. As CNBC wrote, ICOs slowed down in November due in part to fears of legal repercussions, though the ICO market has still sucked in billions of dollars of investments to date. As the SEC moves on PlexCorps, other government agencies are beginning to take cryptocurrency more seriously as well. The Internal Revenue Service recently won a court ruling forcing crypto exchange Coinbase to hand over customer records from 2013-2015, saying it believed Coinbase customers were failing to properly report gains when paying their taxes. Authorities in the U.K. and the European Union have reportedly become concerned that drug dealers and other organized crime groups are using Bitcoin ATMs to stash away illicit gains. China and South Korea have both banned ICOs outright. All this attention must have some people in the sector sweating. December 4th, 2017 at 9:45pm ET: This article has been updated with comment from PlexCorp.